Atole (Mexican Spanish, from Nahuatl atolli) is a traditional masa-based Mexican and Central American (where it is known as atol) hot drink. 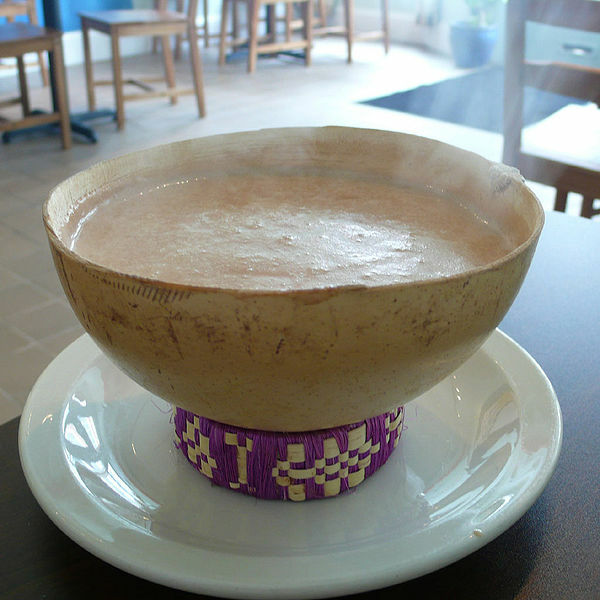 Chocolate atole is known as champurrado. It is typically accompanied with tamales, and very popular during the Christmas holiday season. The drink typically includes masa (corn hominy flour), water, piloncillo (unrefined cane sugar), cinnamon, vanilla and optional chocolate or fruit. The mixture is blended and heated before serving. Atole is made by toasting masa in a comal (griddle), then adding water which was boiled with cinnamon sticks. The resulting blends vary in texture, ranging from a porridge to a very thin liquid consistency. 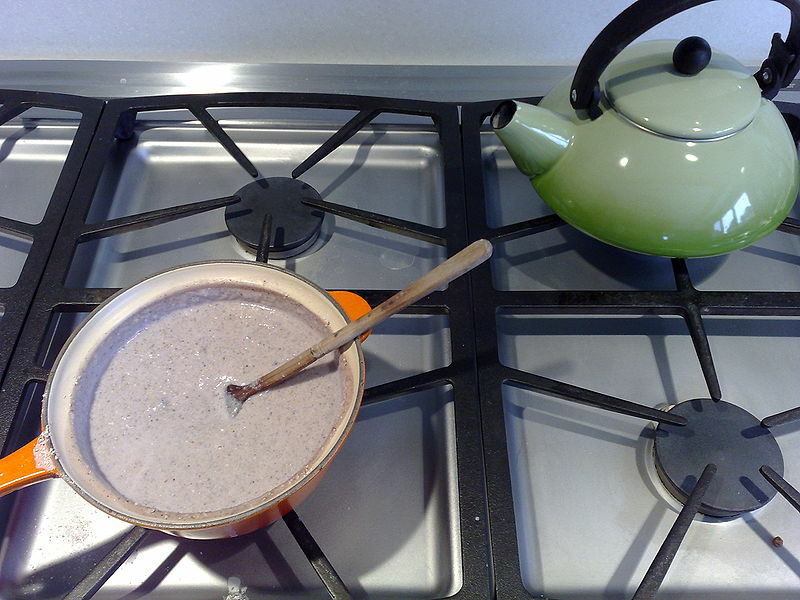 Atole can also be prepared with rice flour or oatmeal in place of masa. In northern Mexico, there is also a variation using pinole (sweetened toasted corn meal). Although atole is one of the traditional drinks of the Mexican holiday Day of the Dead, it is very common during breakfast and dinnertime at any time of year. It is usually sold as street food. In Northern Mexico and South Texas, Atole is a traditional comfort food. It is usually served at breakfast like cream of wheat or oatmeal. It is said that elders would drink Atole because it gave them energy and if a mother is nursing it gives them more milk. Left: Hot bowl of champurrado, a chocolate-based atole.